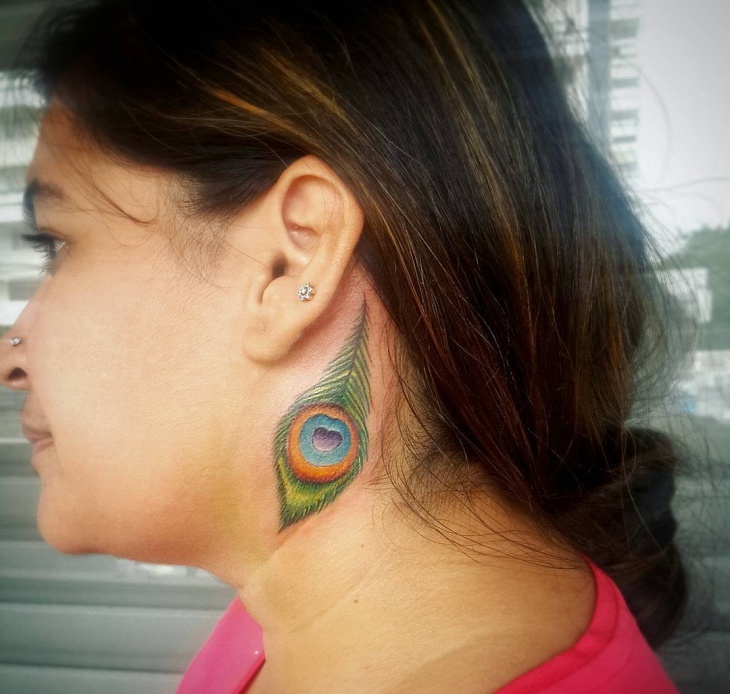 It has become a common sighting to see women across the globe with tattoos. 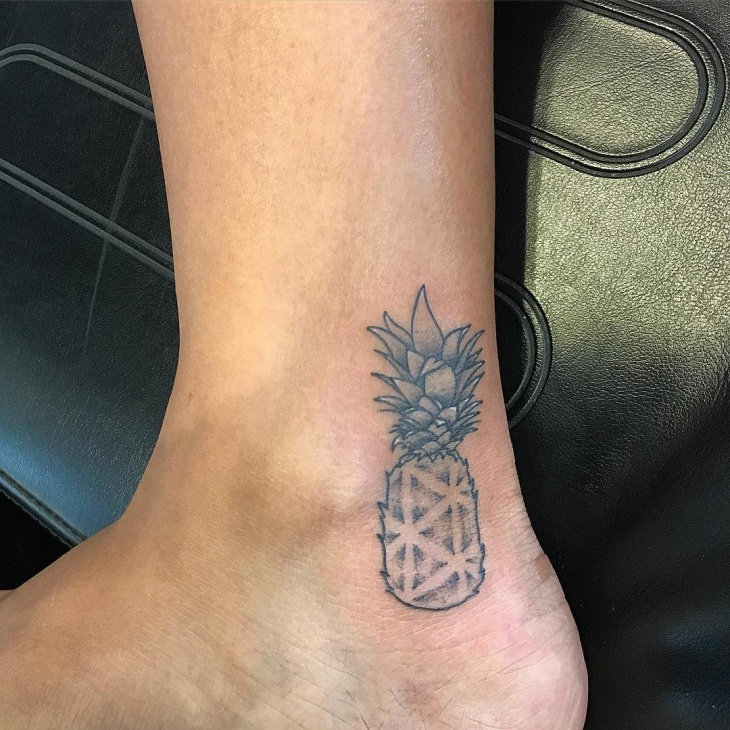 With various successful female celebrities bearing different tattoo designs, both small and large tattoo designs have become more acceptable in a society. 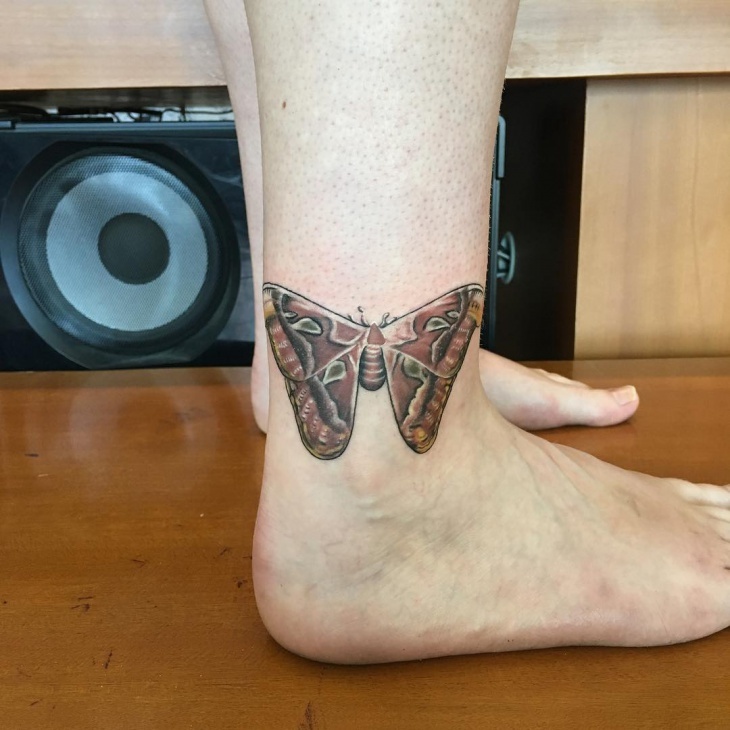 They work to self-express, enhance the beauty of a particular body part and depict unique symbolic meanings. 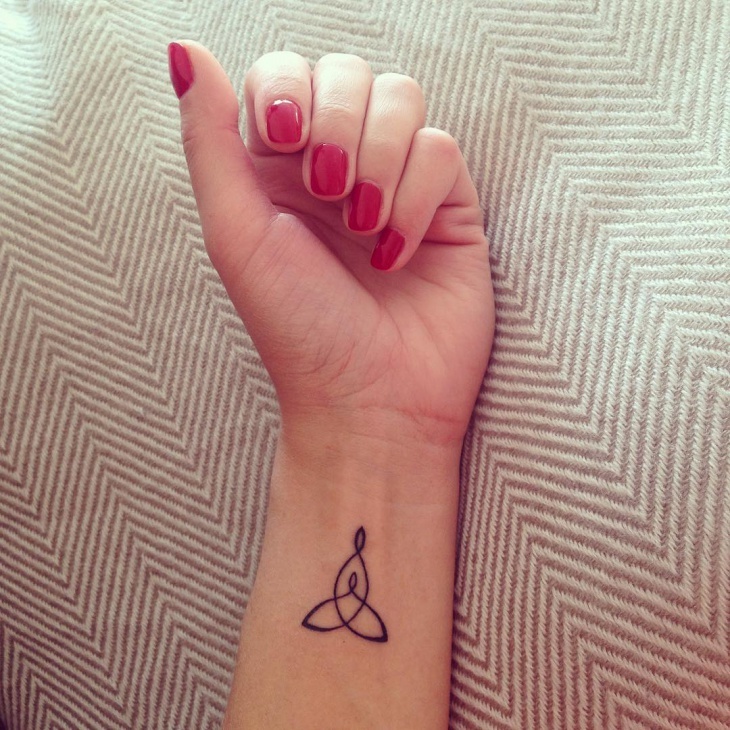 You need to choose the right one, which is why this list has different tattoo designs to suit the needs of each woman. 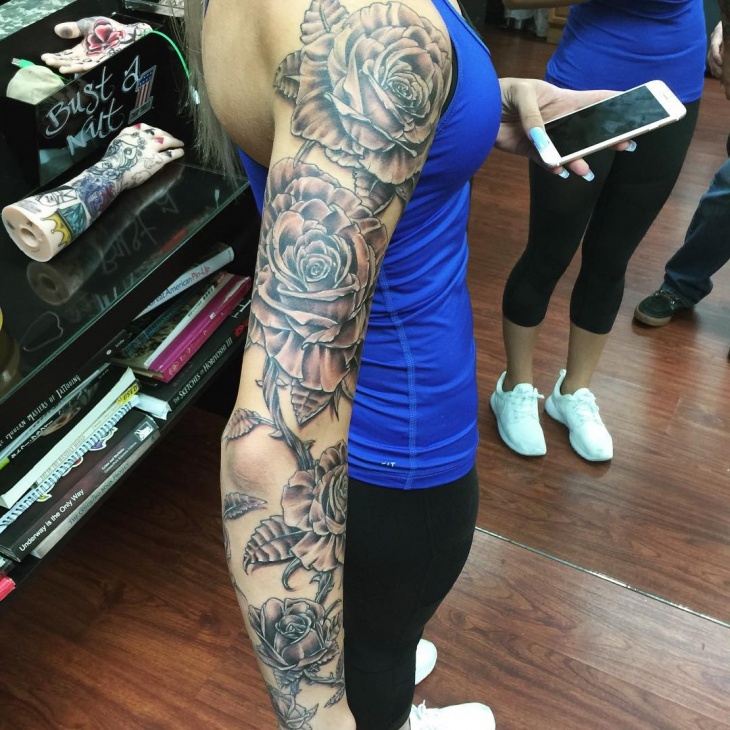 Just as jewelry works to enhance the beauty of a woman, a sleeve tattoo also decorates the hand ensuring it looks more attractive. 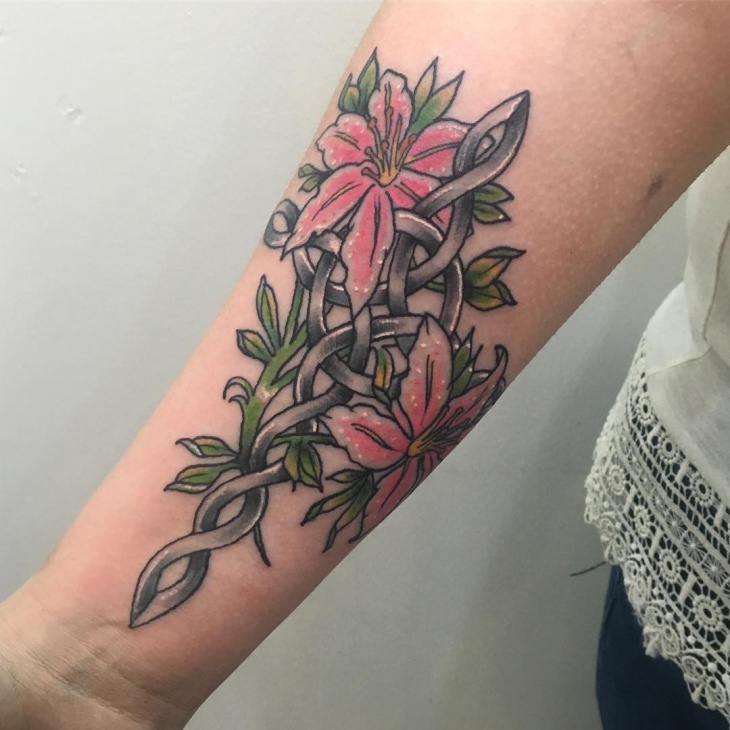 With a full sleeve tattoo design, you will worry less about which jewelry to wear because the unique style and color will be an adornment on its own. 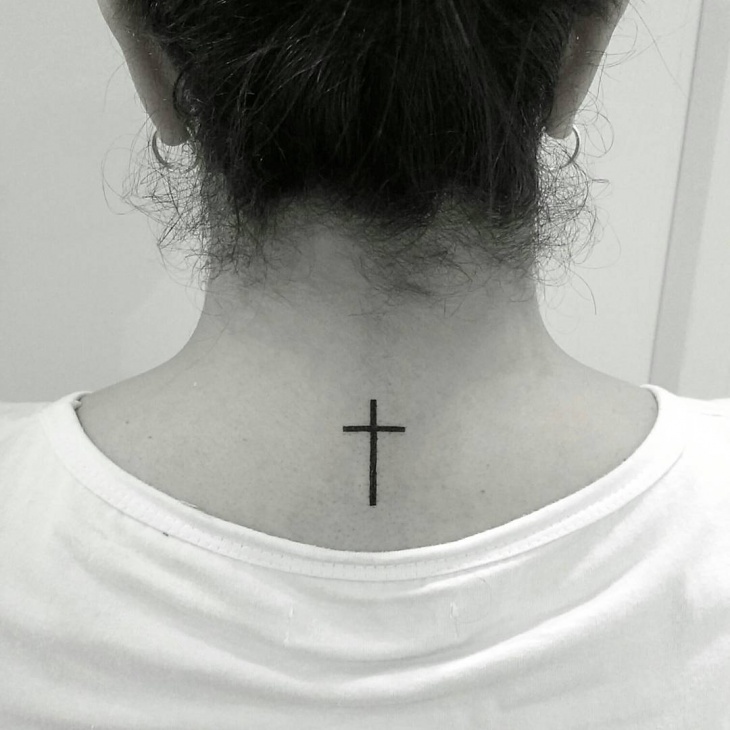 Women set the tone for religious practices that are acceptable in the family and a cross tattoo design for women will clearly depict your faith. 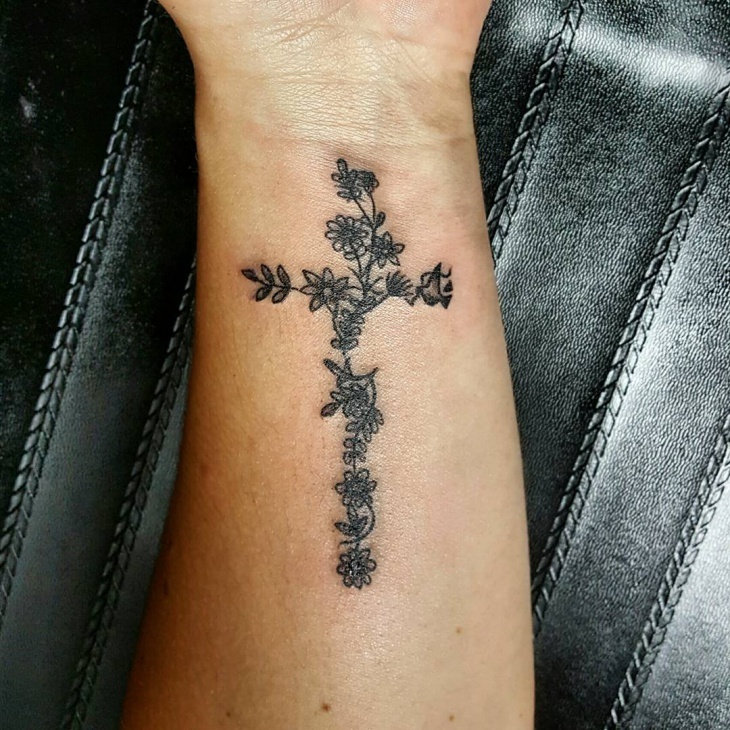 You can add a rosary or a rose flower with your cross design, and it will still look stunning or opt for a Celtic cross which is a bit feminine. 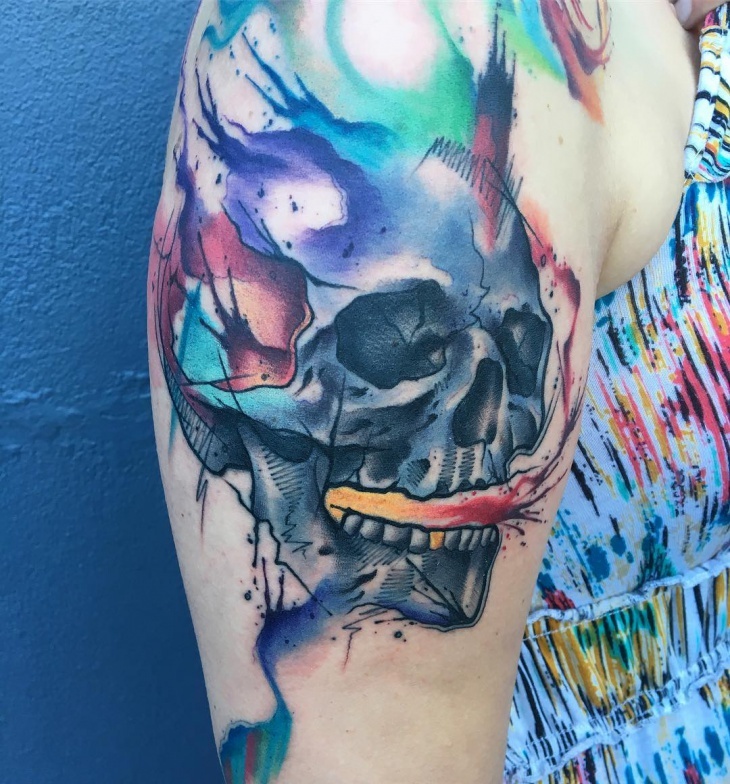 Ladies who need to portray a bad girl image can do so using a skull tattoo design. The trick to ensuring it looks feminine is to either add vibrant colors or incorporate girly elements such as bows or a cute halo. 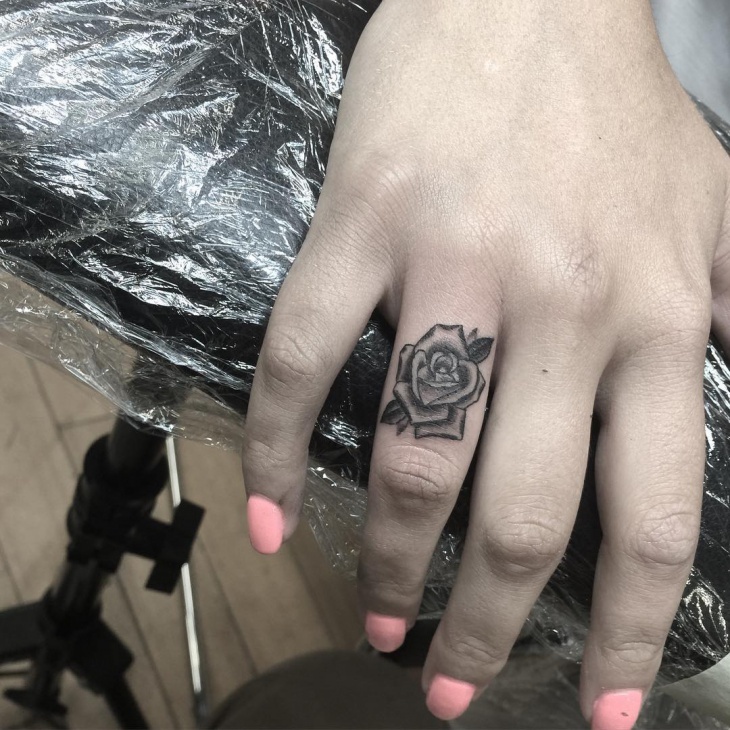 Ladies getting a tattoo for the first time can get a small skull design on the finger. Even modern women will look good with tribal ink art. 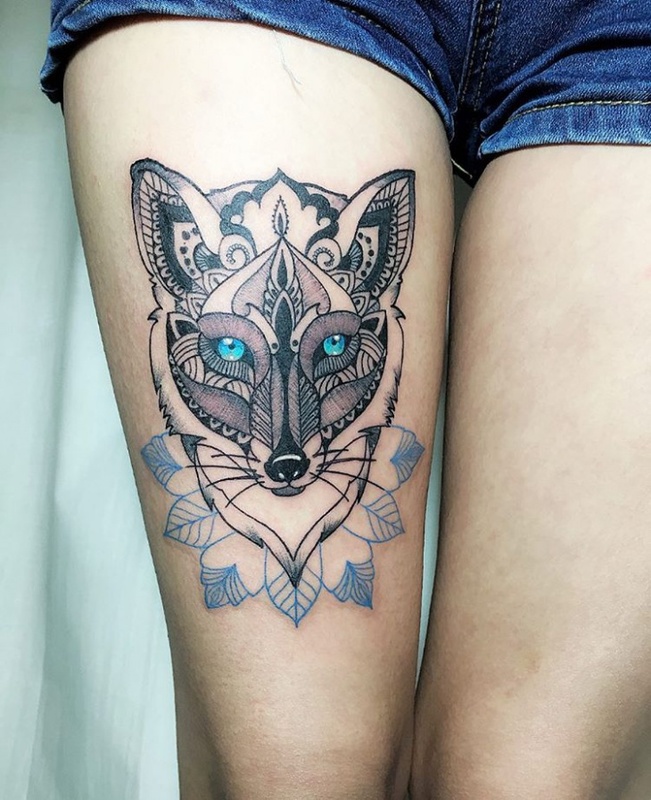 To prevent tribal tattoo designs for women from showcasing masculinity then instead of thick dark shadings, go for a bit thin lines in gray color. 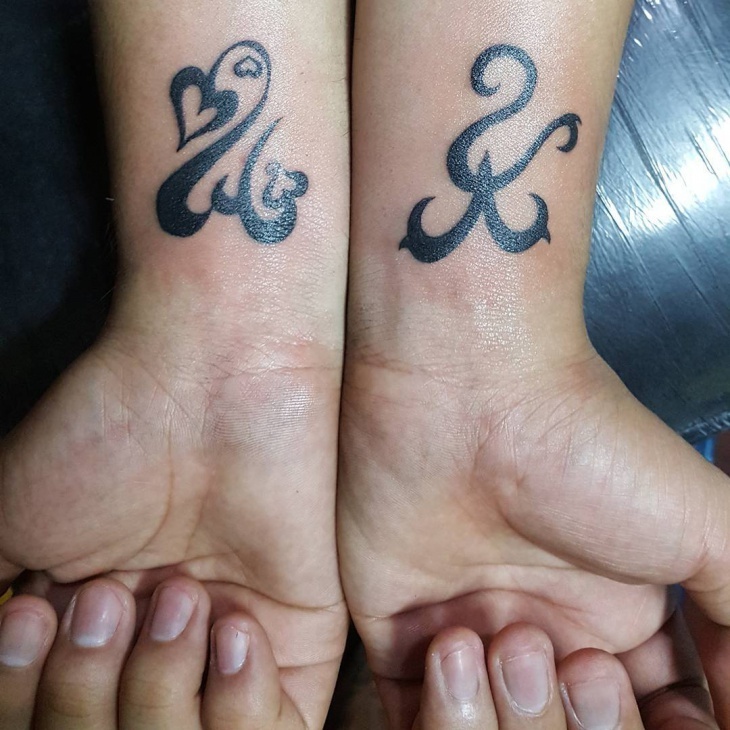 You can even get your tribal design using white ink color just to show how cool you are. 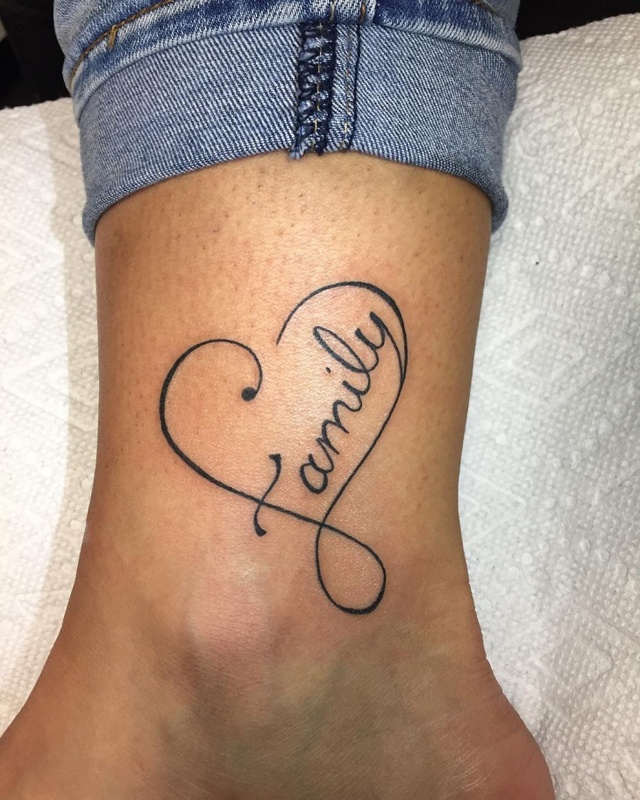 Tattoo designs for women can act as a form of memory that a particular individual does not want to forget making the ankle the ideal place to ink your design. 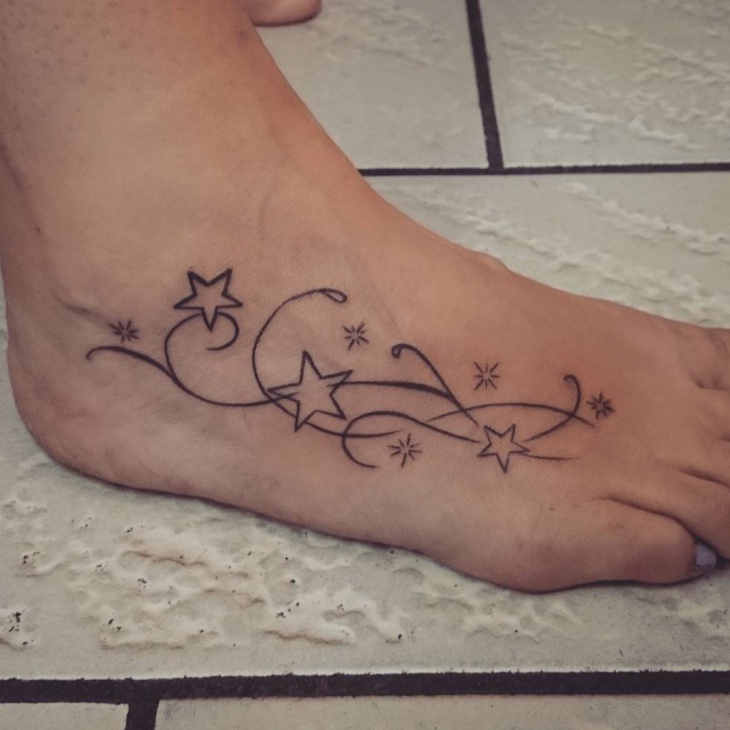 You can do a simple word that holds unique symbolic meaning or adds scattered stars to show that you will always be a diva. Women love flowers. 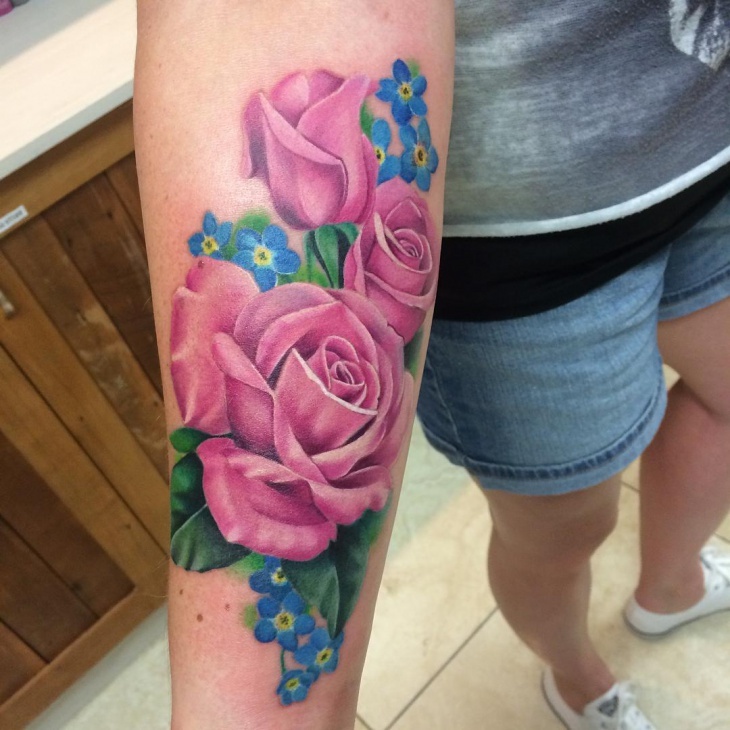 So when it comes to choosing a decorative ink art, rose flower tattoo designs for women will definitely be a hit with all tattoo lovers. 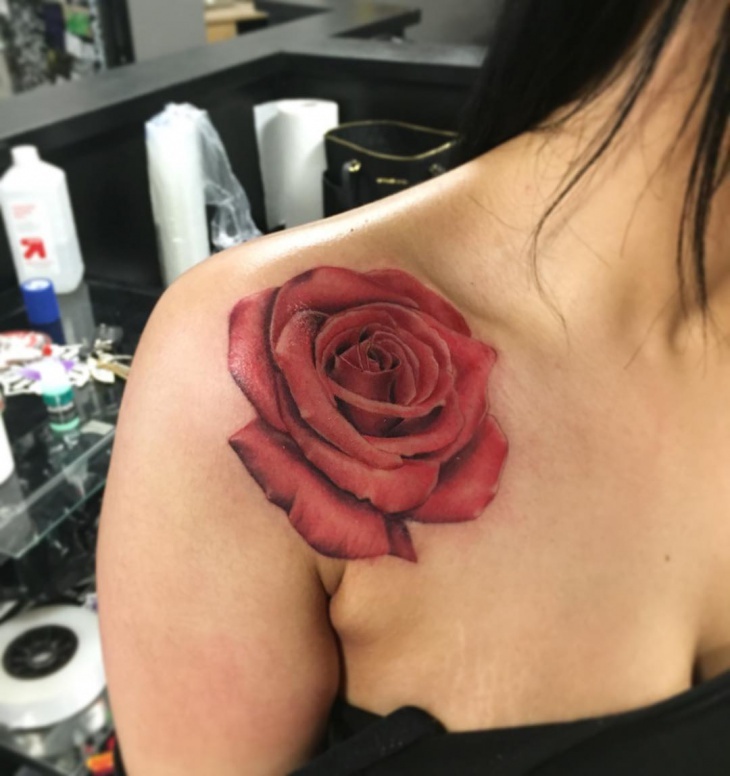 A red Ross looks good on all skin tones and complements different types of tattoo designs. 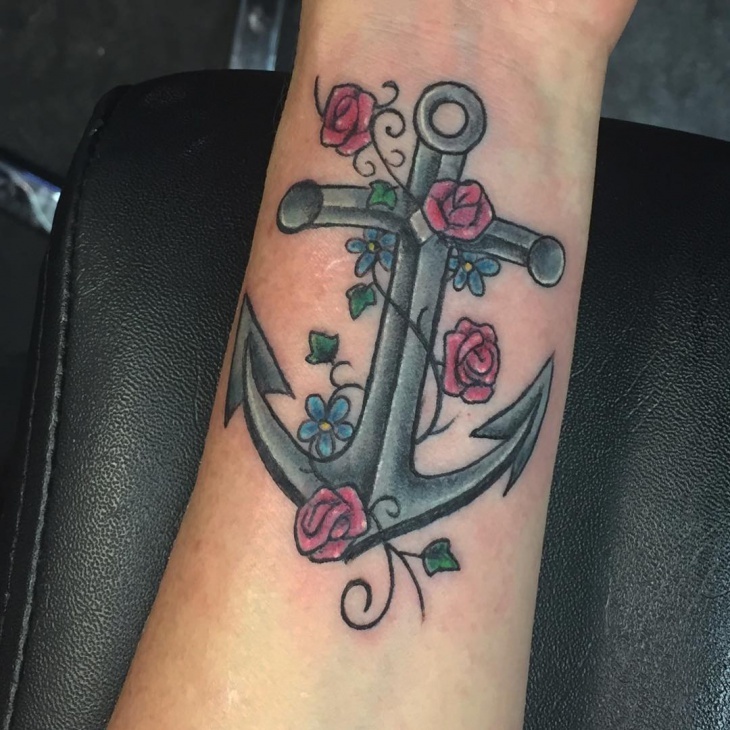 If you are what holds your family together, then anchor tattoo designs for women is perfect for you. 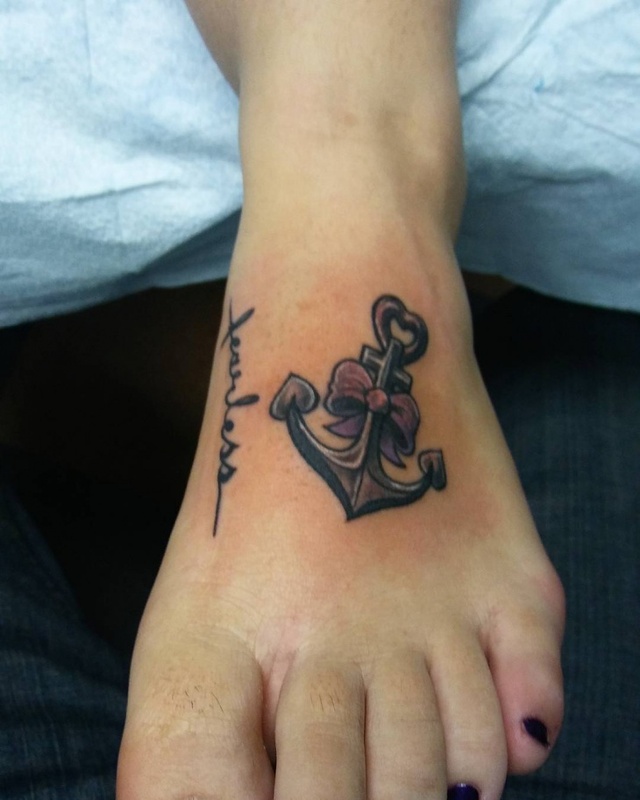 Place a small anchor ink art on your finger or blend it with another bold tattoo design and ink it on the thigh to create a body art that you highlight your traits. 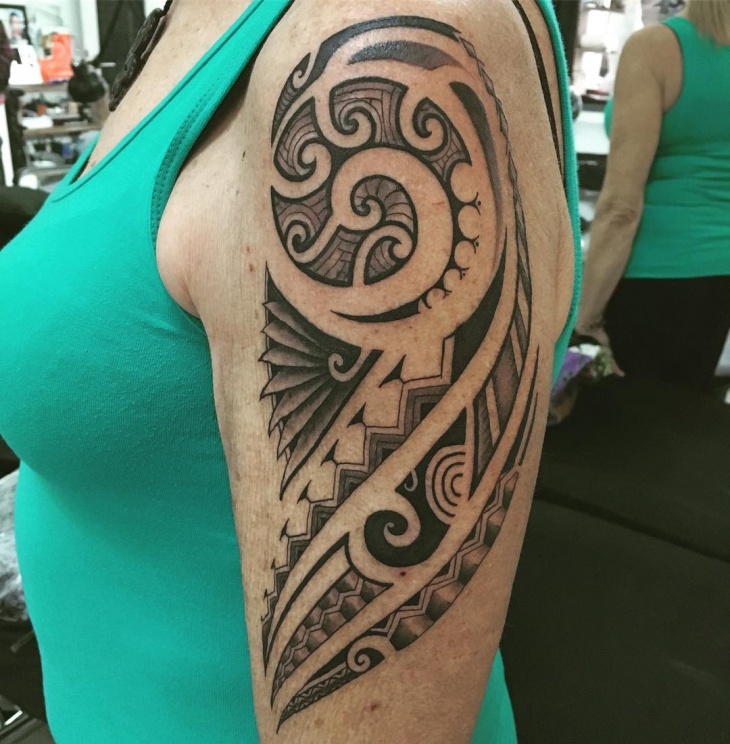 Polynesian tattoo designs for women have a deep cultural meaning hence are ideal for those who prefer eye-catching ink art with a rich culture background. 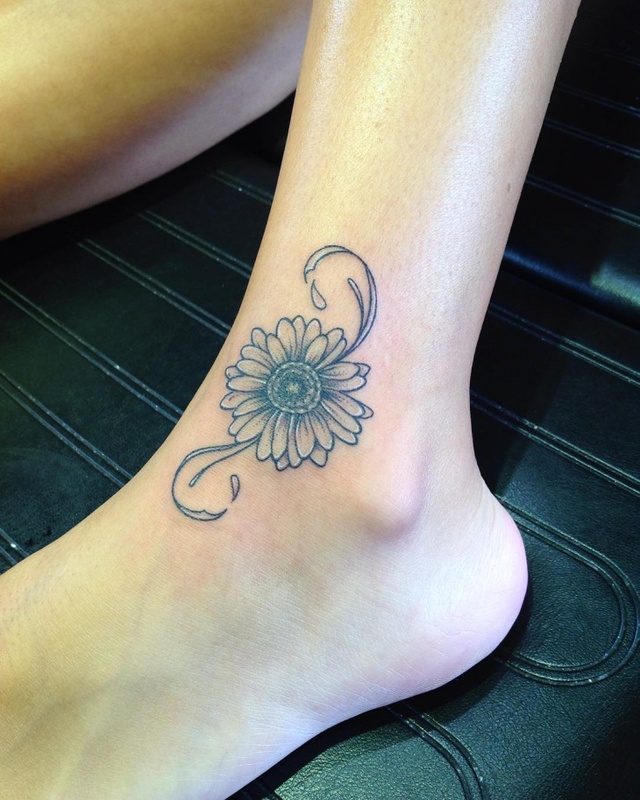 The different lines and geometric shapes will result in an adorable tattoo that will make a statement. 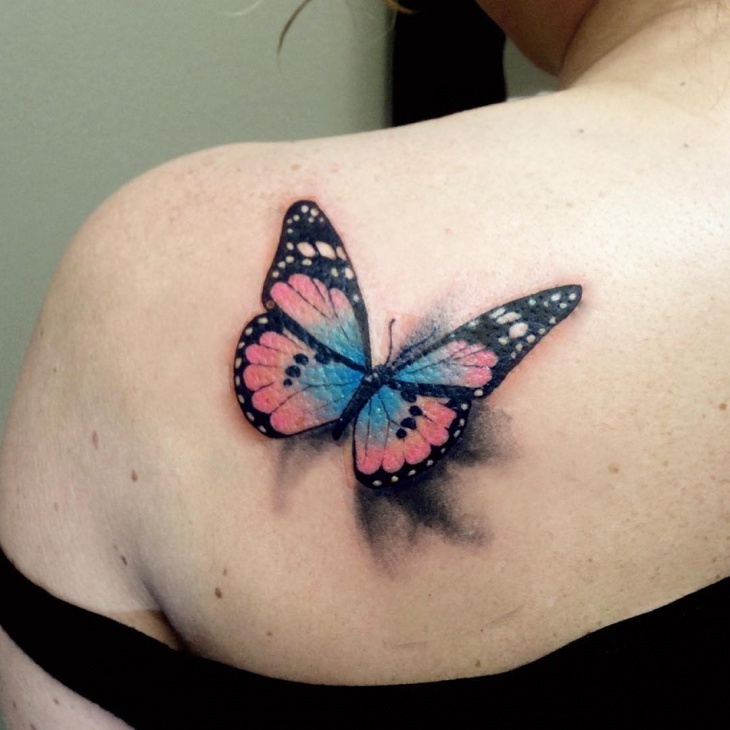 Butterfly tattoo designs for women are so cute and offer a popular option for feminine ink art. 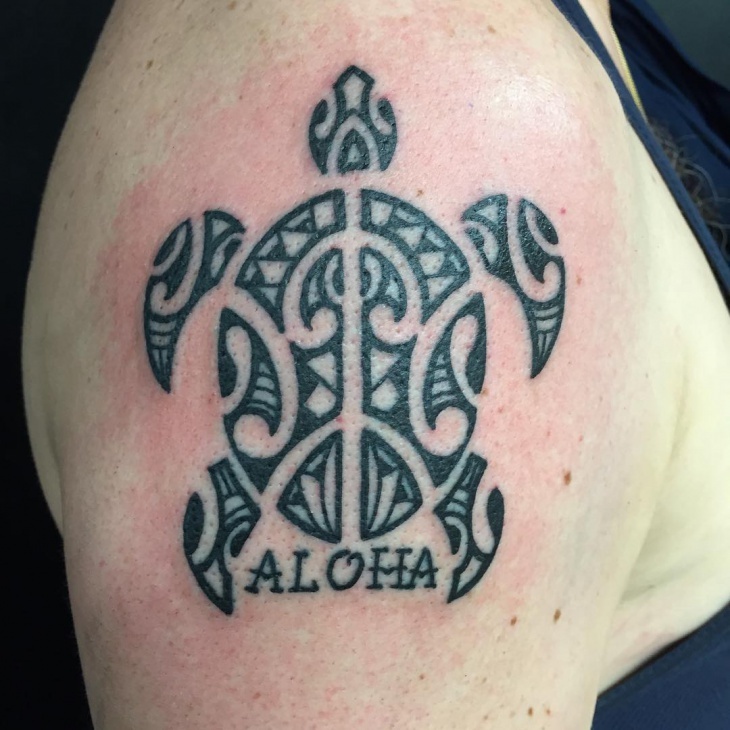 Apart from symbolic meanings such as rebirth, transition and change, they add a touch of color to a tattoo designs to make it attractive. So if you overcame a dark past victoriously then why not get this design. 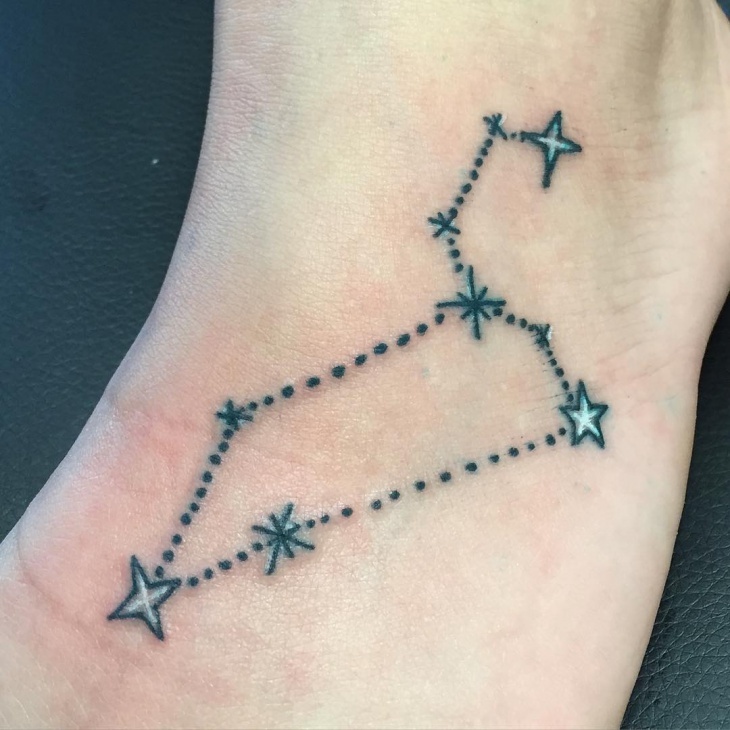 From those in black to vibrant colors, star tattoo designs for women are gorgeous. 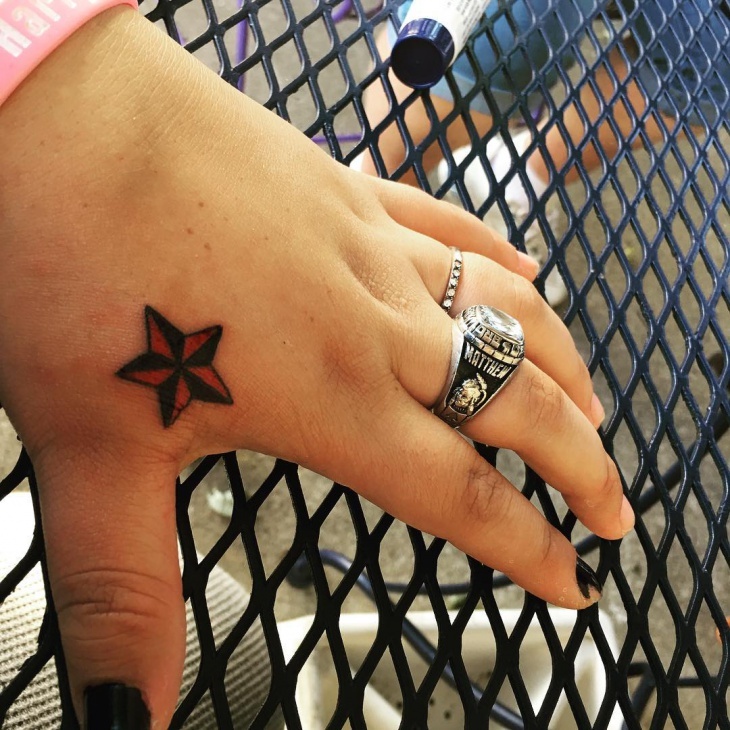 If you are a star of your own life, then this design is for you. 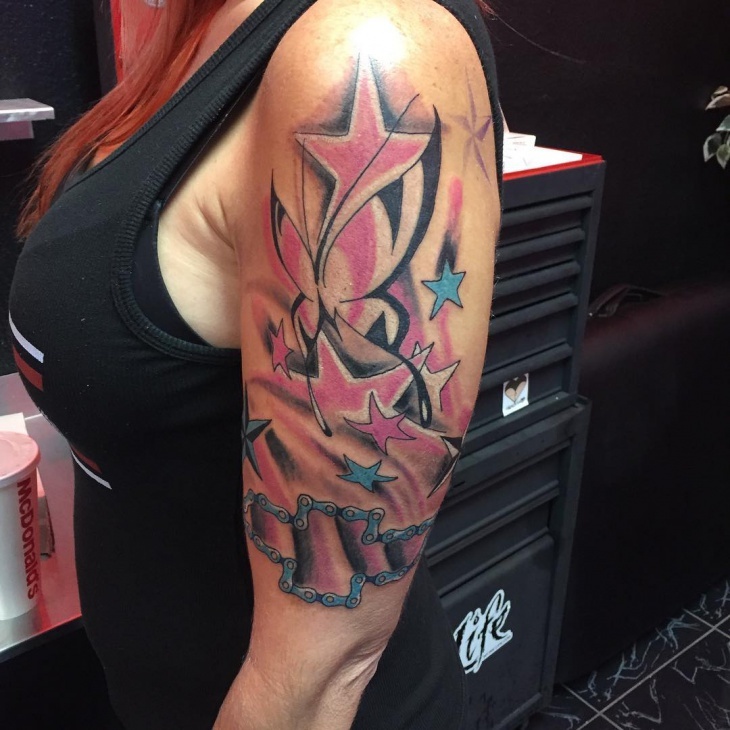 Get it on the neck just like famous music star Rihanna or go for one large star and mix it with a flower tattoo. 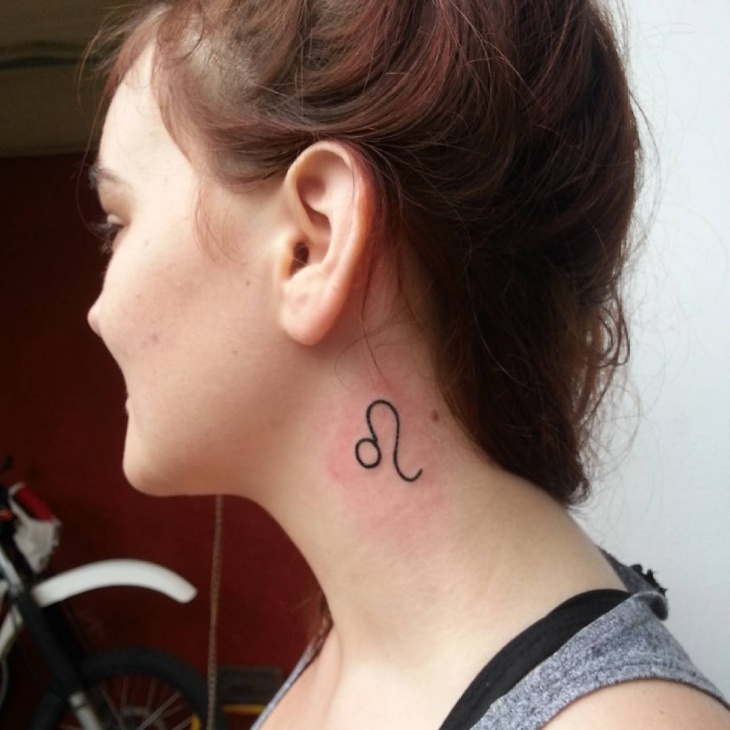 Some women prefer going for tattoos that reflect their zodiac sign. 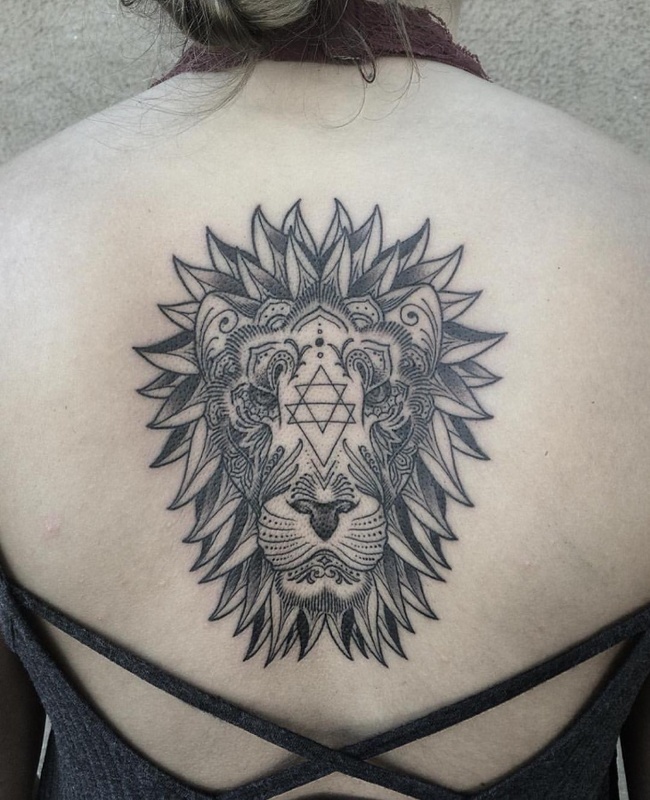 Leo tattoo designs for women tend to feature the sun or characteristics of a lion. 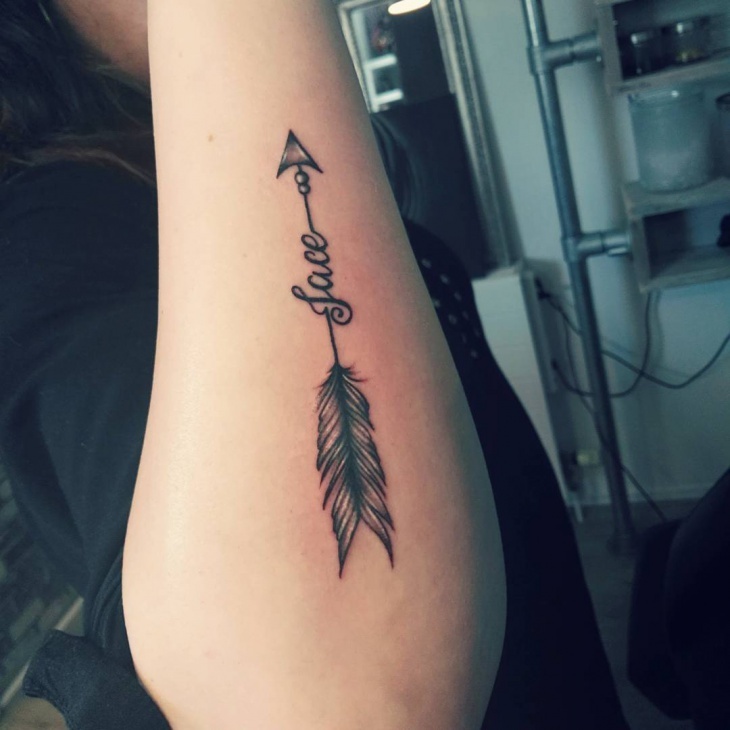 Suitable for ladies who need to shine, this tattoo design represents leadership, integrity, power, braveness and ability to be vocal about your beliefs. 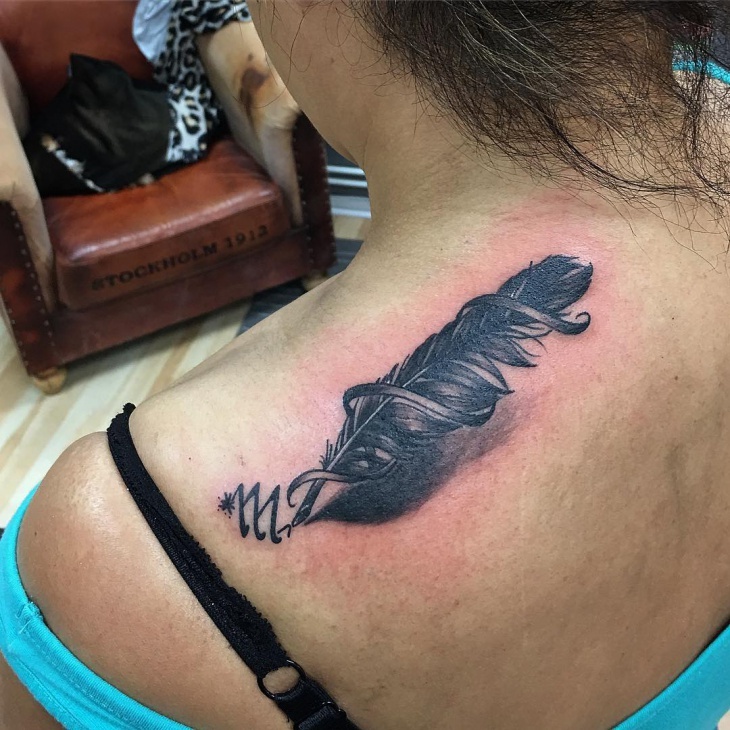 Simple yet striking, feather tattoo designs for women are popular designs in dreamcatchers and arts with deep history. In many cultures, feathers depict freedom of the bird, a departed soul, rebirth and oneness with nature. There are different types of birds hence you will find a feather that resonates with the traits of that particular bird. 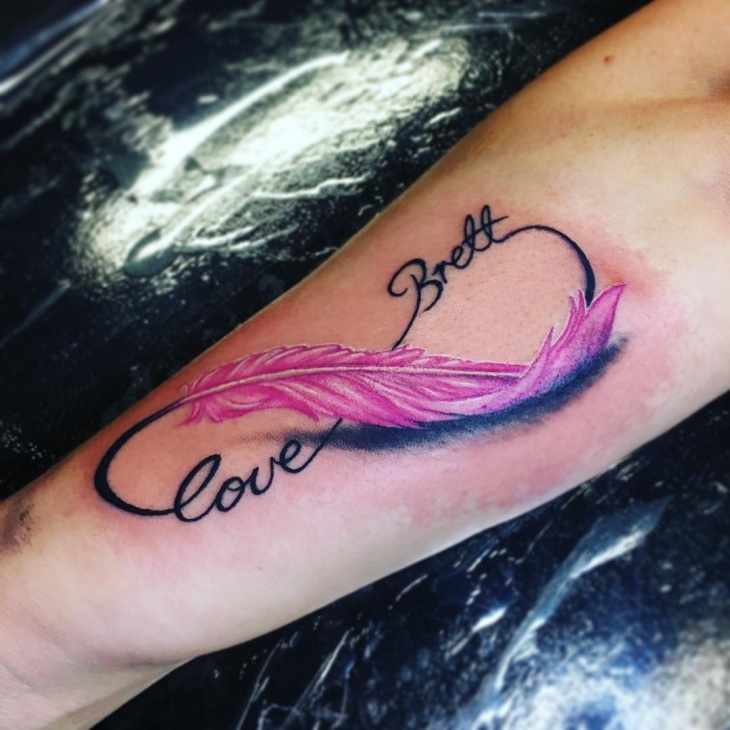 Women love to show emotions, and the ideal way to express your undying love towards your significant other is to get a heart tattoo design. 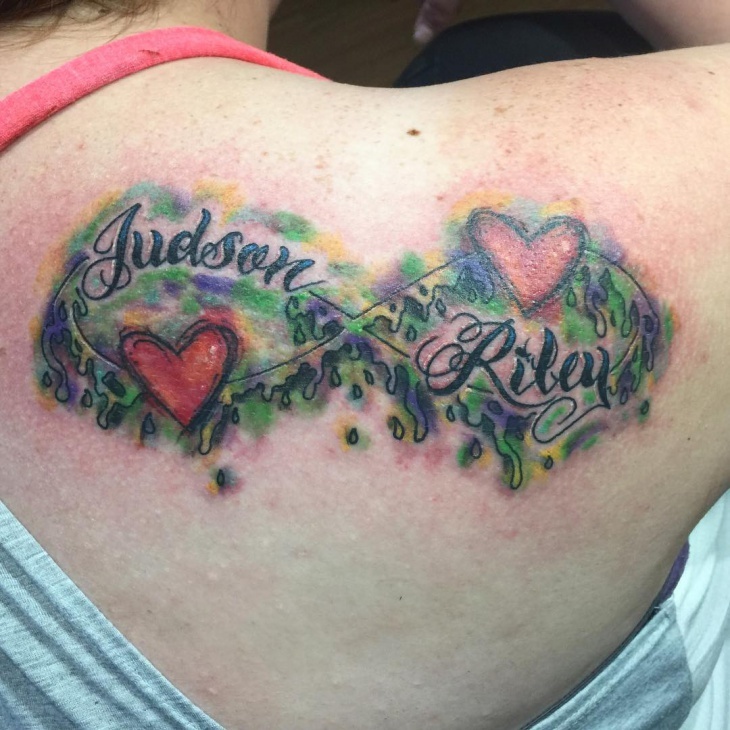 You can even include both your initials in this tattoo so as to give it a personal meaning. 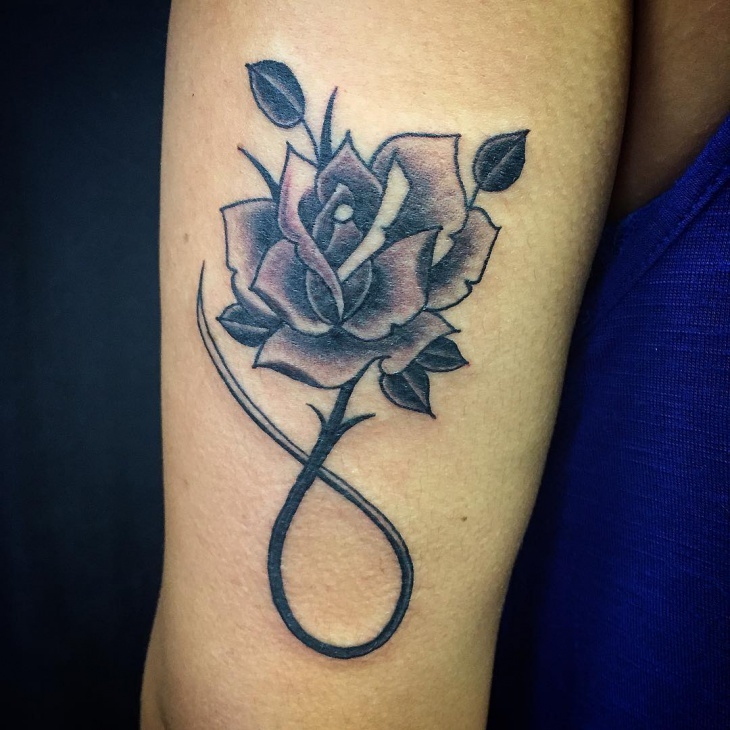 Sometimes you just need a simple symbol to stand out, and infinity tattoo designs for women can do just that for you. 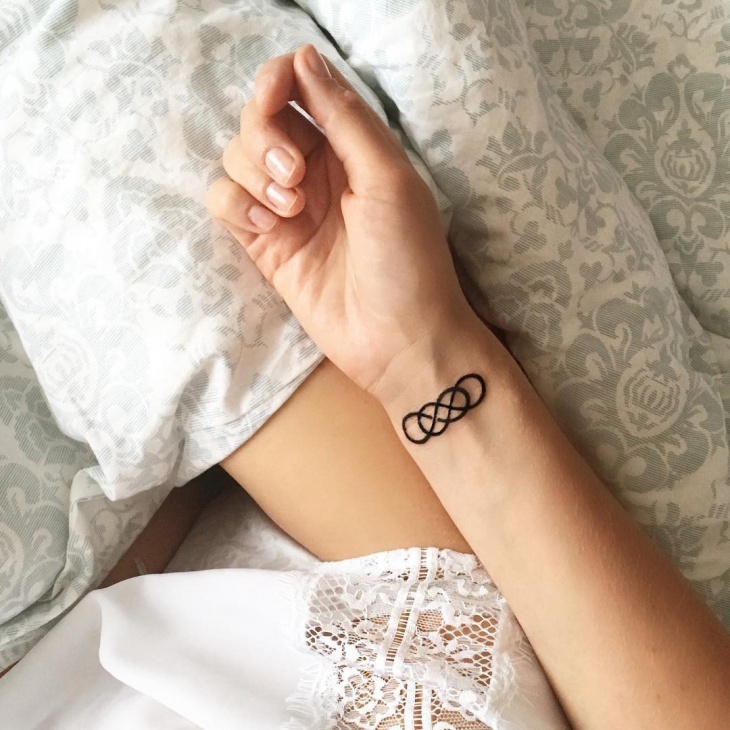 You can get an infinity symbol on your wrist and pair it with a floral pattern to create a tattoo that looks like a bracelet. 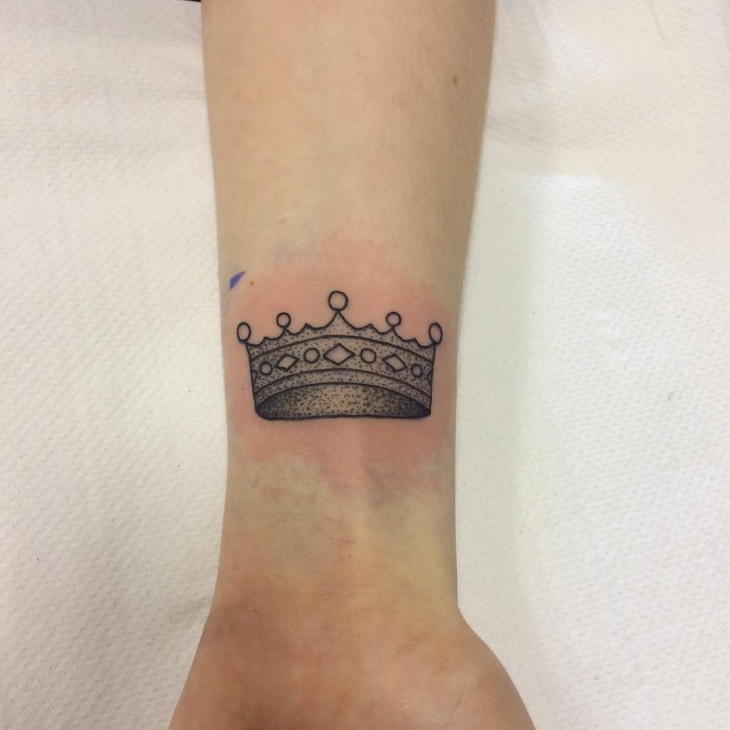 If you are the Queen of your heart, then a crown tattoo design is perfect for you. 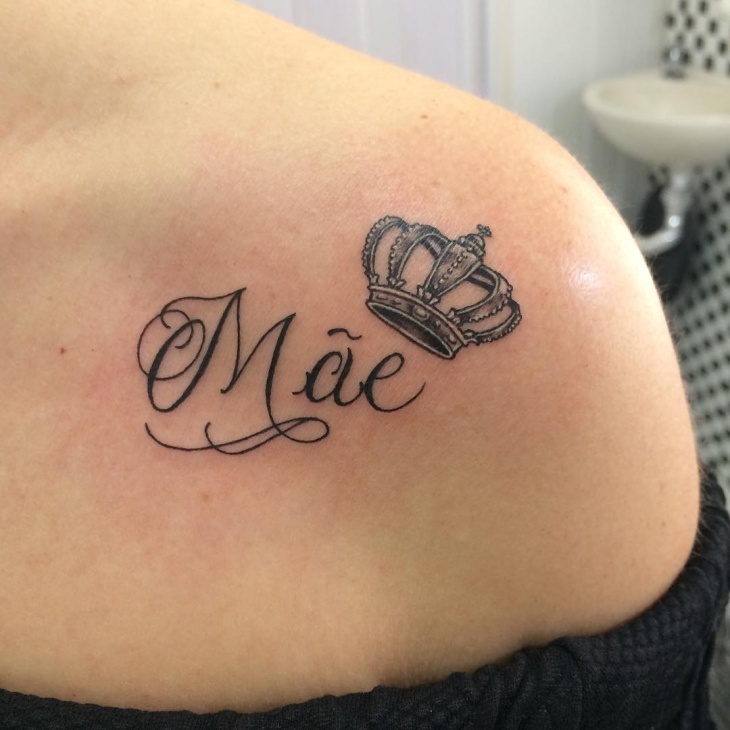 You can opt to draw a crown and below it include your name, your children’s or spouse initials. 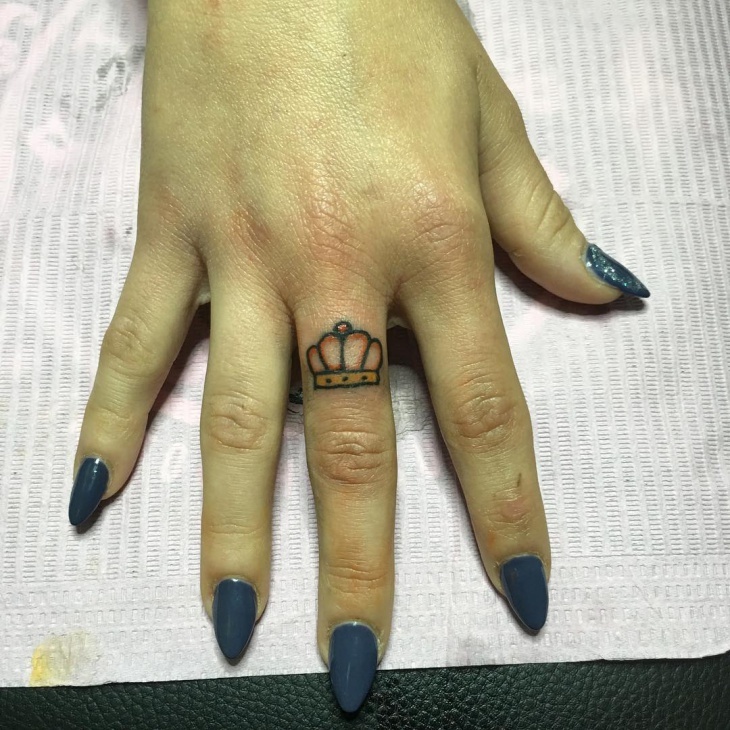 For a funky attitude add a crown to a skull tattoo. 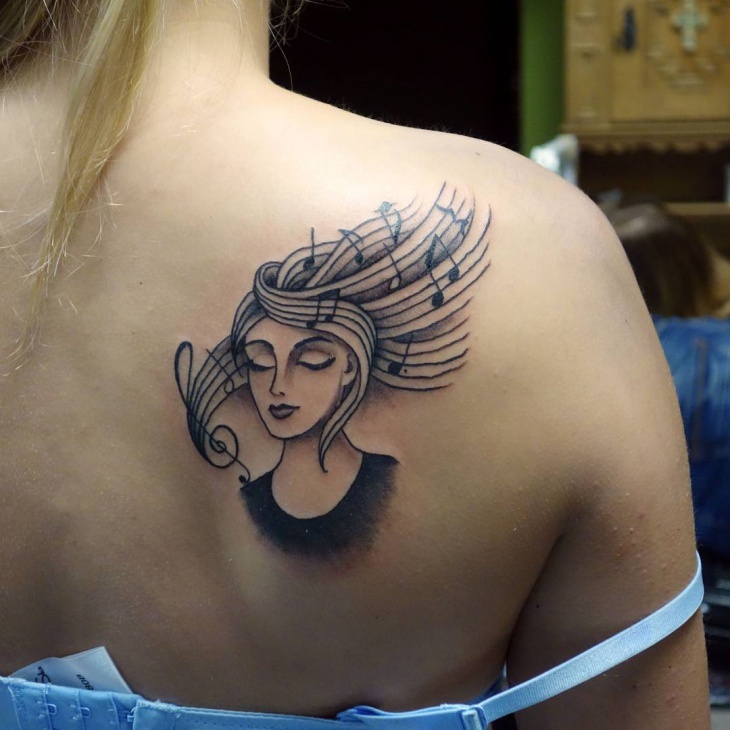 You cannot go wrong with music tattoo designs for women. 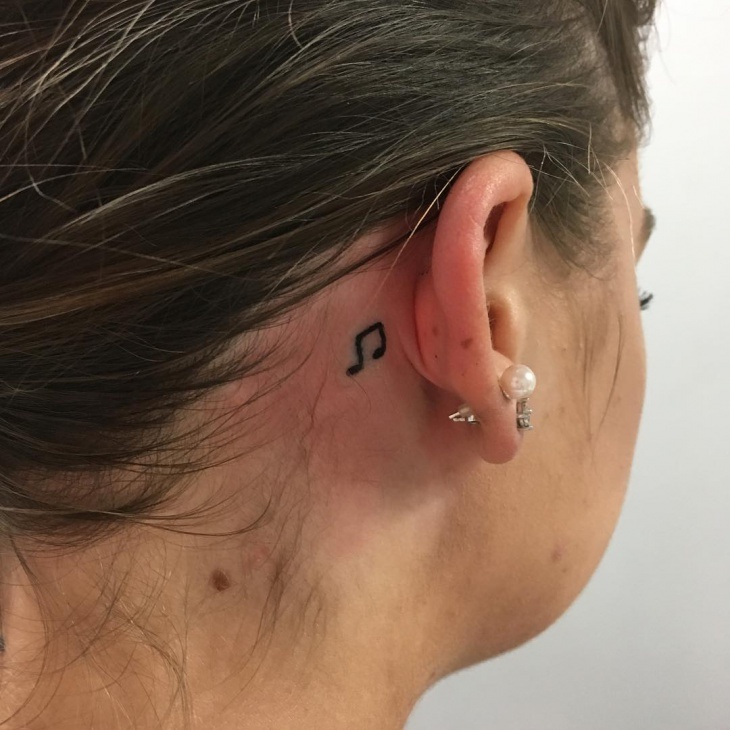 From a single note to inscribing your favorite band’s name, music tattoos are cool and suitable for ladies of all ages. Since we all have a music genre that we love you can go as far as inking your favorite musical instrument on the back or thigh. 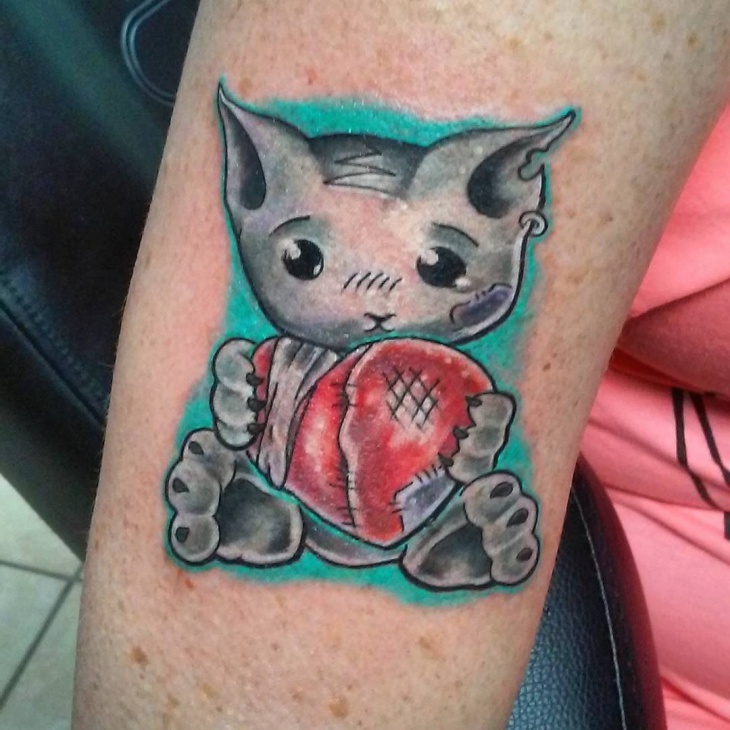 There is something fun and charming about a woman with a 3D tattoo. With the illusion of popping out of your skin, these designs will make you the center of attraction. You can choose 3d hello kitty, bows, dragons, words or koi fish. Depending on your skin tone, go for colors that will good on you. 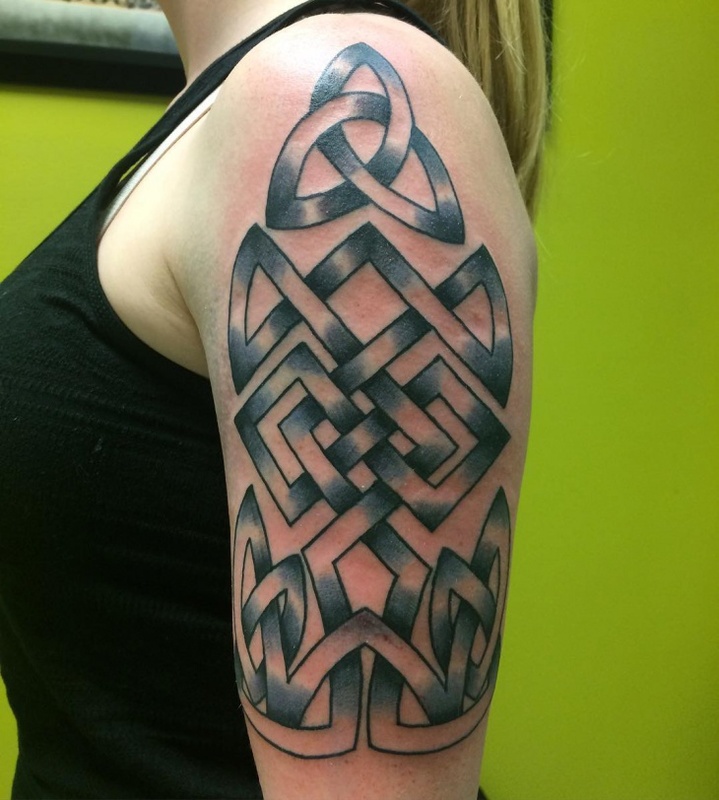 Celtic tattoo designs will look fantastic on women especially with their swirl patterns. 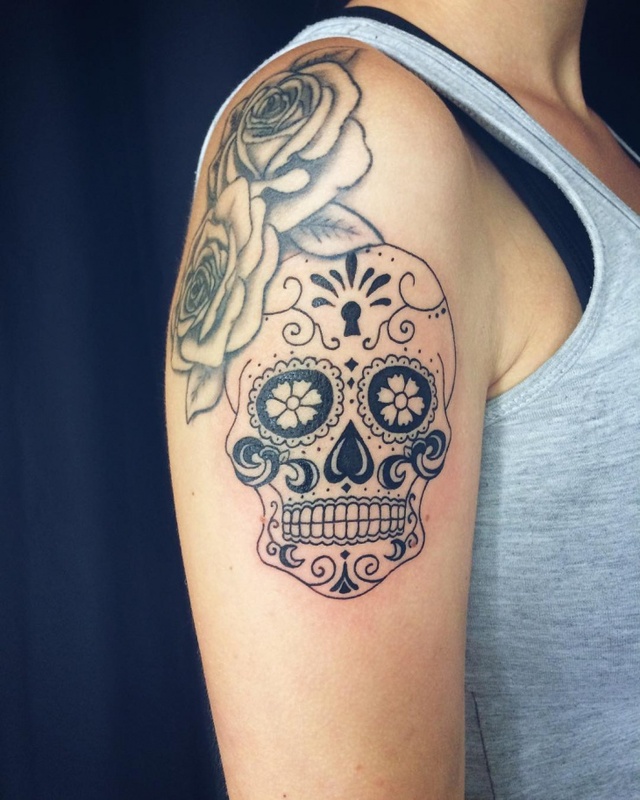 The intricate designs and tattooing style gives these types of tattoos a feminine look that girls of all age will love to adorn. Depending on your preference opt for gray or white ink instead of black. 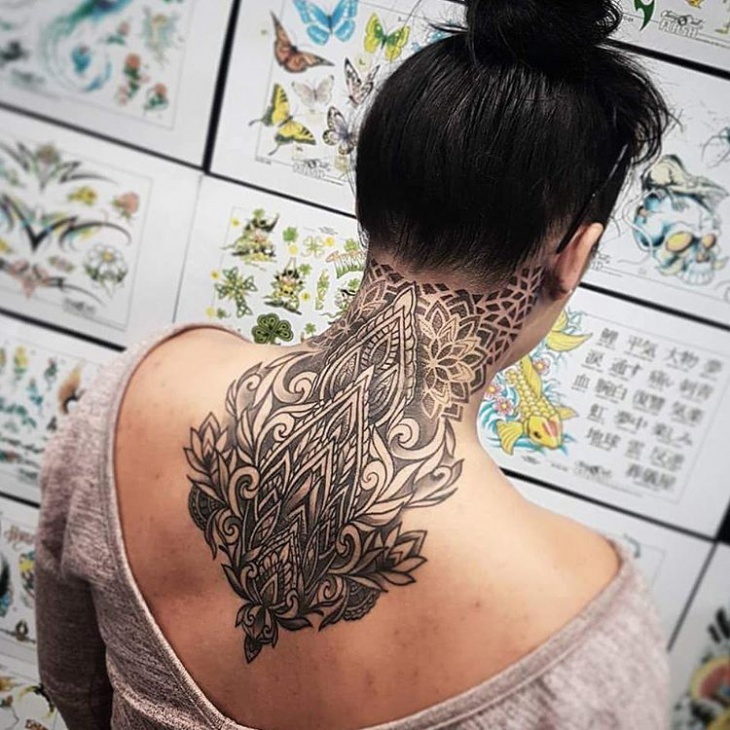 Whether on the back or side, neck tattoo designs for women work to draw attention towards the neck area. This area is a bit painful so make sure the design is timeless and worth it. A bow, celestial bodies, Buddhist elephant or a tree tattoo design or will look stunning on this body area. Spirituality is a familiar theme with most women and wing tattoo designs, especially for an angel, is definitely among the best ink art. 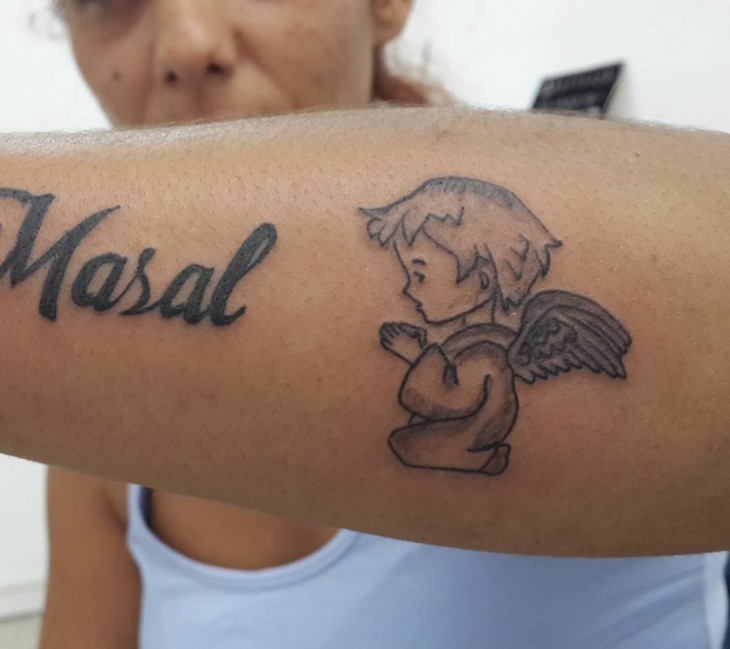 The best place to ink an angel tattoo is on the back or bosom where there is ample space. 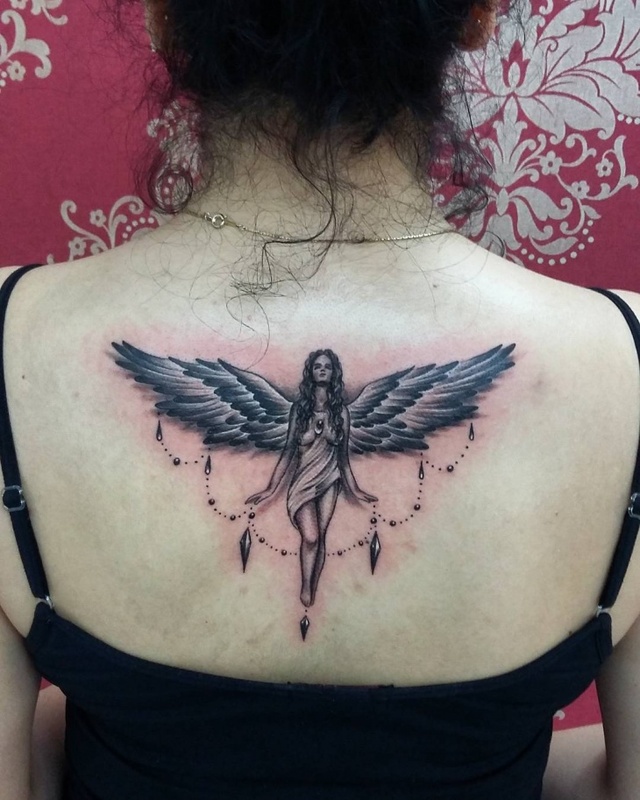 Angels symbolize protection angst darkness which makes this tattoo ideal for everyone. 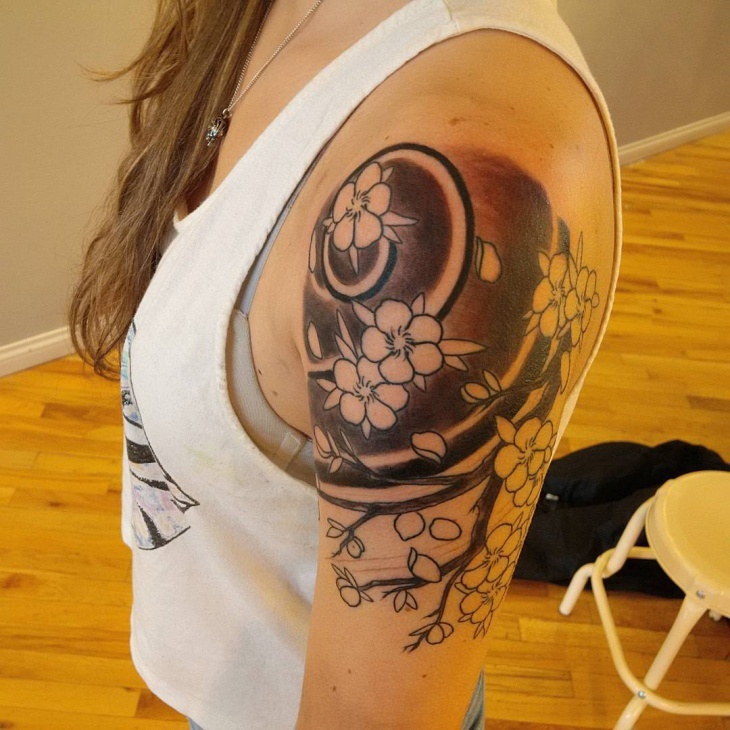 Tips and How Women Select a Tattoo Design? 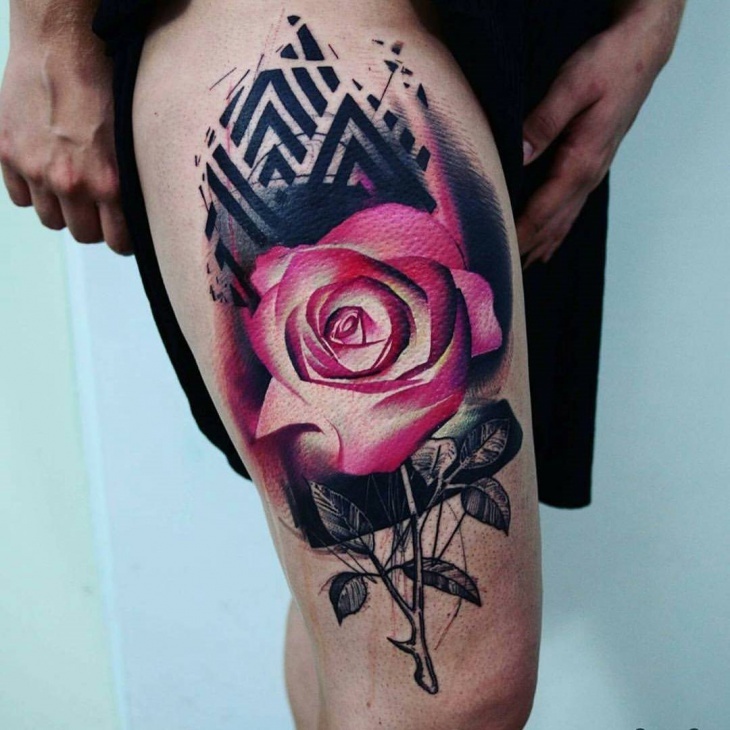 Tattoo designs for women are steadily on the rise with various celebrities such as Katy Perry, Pink and Miley Cyrus acting as role models. 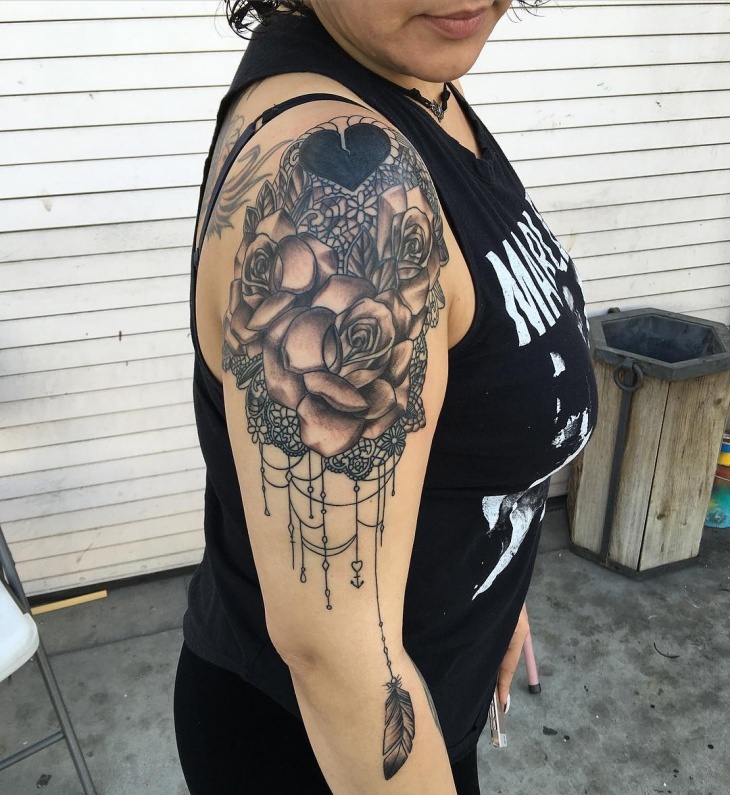 Women go for tattoos to enhance beauty, highlight their traits and make themselves unique. 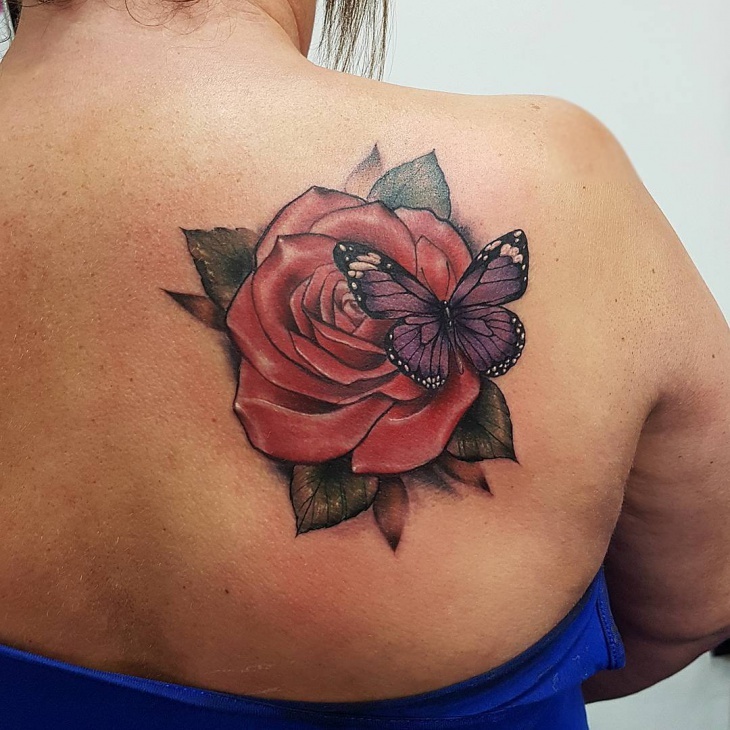 When choosing a tattoo design for women then it’s best to consider your personality, lifestyle and skin tone because while one design might look good on a pale skin tone, it will not look stunning on a dark skin color.